Fire mars the back of a consumer's Samsung microwave. Samsung is feeling the heat from its disastrous handling of the fire-prone Galaxy Note 7 smartphones. Critics are comparing the bungled response to the Note 7 crisis to Samsung's handling of a rash of washing machine fires in Australia a few years ago. Samsung recalled 150,000 Australian washing machines in April 2013 after a series of house fires were blamed on the machines. But first it tried to get consumers to use tape and a plastic bag to solve the problem, a solution that only increased consumer outrage and was itself blamed for several more fires. Consumers in the U.S. have also reported fires in their Samsung washers, as we reported a few weeks ago, but so far no recall has been issued. Federal safety officials, however, warned consumers that the machines could shake themselves to pieces and cause injuries or damage. Repercussions from the Note7 debacle are rippling through all corners of Samsung's business. A report today says that an expected deal with FCA (formerly Chrysler) has been delayed while Samsung, South Korea's largest company, tries to work its way through the aftermath of the smartphone recall and subsequent market withdrawal. FCA and Samsung had been reported to be close to a deal involving electronic components for the company's Chrysler, Jeep, Fiat, and other auto brands. The fallout from the Galaxy fires threatens to tarnish Samsung's other consumer products, which have experienced their own problems with unexpected fires and, more significantly, with a response that is best described as business as usual. We heard from Lyn of Palm Harbor, Fla., about the red-hot charger that came with her Samsung tablet. "Charger got so hot we had to use gloves to remove it from the wall. Went to the AT&T store ... where we purchased it, they told us we would have to contact AT&T corporate to get a replacement. Called corporate and we were told to contact the manufacturer," Lyn said. "We did and were informed that they would not replace charger. The warranty only covered the device. If you can't charge it you can"t use the device!!! Stay away from Samsung products. No Samsung, No FIRES." Tracy's Samsung microwave caught fire while she was preparing pasta on the stove below. 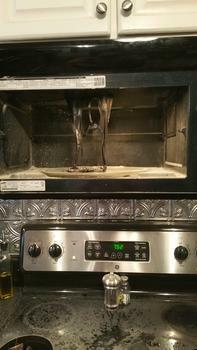 Samsung microwaves have for years generated red-hot consumer complaints about fires, most recently from Bill of Palm Harbor, Fla.
"Bought new Samsung microwave (me21h706mqs) and after one week it caught on fire at the plastic piece in rear corner. Lucky we were at microwave watching or whole house could have caught on fire. Huge plastic smoke and horrible smell," Bill said in a ConsumerAffairs review a few days ago. Bill called Samsung and after calling three different numbers got little satisfaction. "Samsung was not impressed their unit caught fire and really did not care. Said they would send tech in 2-3 days. ... Basically they hung up on me after I requested someone come out on Monday to remove." Tracy of Winston-Salem, N.C., said she was boiling pasta when her microwave caught fire. "I wasn't even using the inside of the microwave at the time. I was using the exhaust fan for I was boiling pasta on the stovetop. Flames all in the microwave, I had to use the fire extinguisher. I am so glad I was home when this happened! My model number ME18H704SFS." A common theme in many of the microwave fire complaints submitted by ConsumerAffairs readers is the by-the-book response from Samsung's customer service representatives. "Purchased Samsung Microwave Model Number ME18H704SFG on 07-03-2016 from HHgregg. They delivered the Microwave on Saturday 07-09-2016. Used the Microwave Saturday and Sunday. Monday morning 07-11-2016 my wife screamed 'FIRE' so I ran to the Kitchen where the Microwave door was open and a flame about 4-5 inches long was jetting out ... I got the Fire Extinguisher and put it out then unplugged it," said Joey of Sicklerville, N.J.
Joey said he called Samsung and "spoke to a lady there who gave me a transaction number and said a product specialist would call me back within 4 hours." The return call didn't happen, Joey said, but eventually a service call was scheduled for several days later. Like other owners of burned microwaves, Joey said he didn't want service, he wanted a new microwave. "I told her I did not want them to attempt to repair this unit and give it back to me. She said the service person would not take the unit but would take photos and send to Samsung where they would determine if it could be repaired. I told her I would not let that unit back into my home. She said if you refuse the service then you will be left with a broken microwave," Joey said. The wires on Nancy's Samsung range melted. You expect a range to get hot but, ideally, the heat is confined to the oven and cooking surfaces. That's not always the case with Samsung ovens and ranges, consumers say. 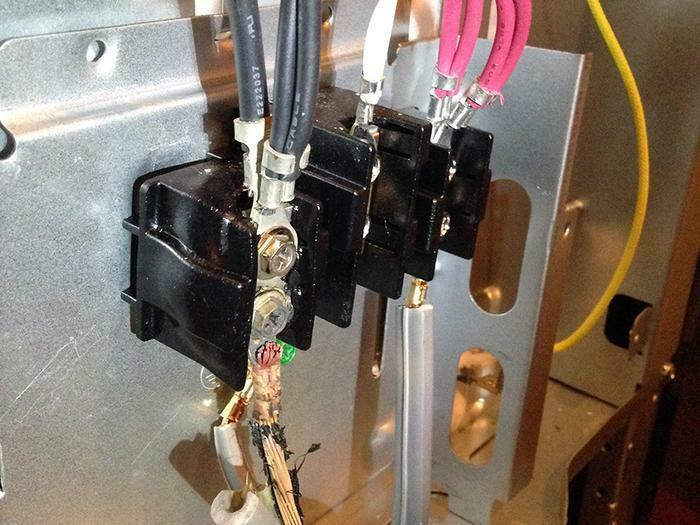 "Our two year old Samsung NE58F9500SS began sending strong fumes of burning plastic upon oven preheat," said Nancy of Midlothian, Va. "Repeated email and phone contact with customer service about this fire hazard was a test of patience. Each contact told us to wait 24 more hours and we would be contacted by someone. Days passed. No oven. No stove. Wires attached to the back of the oven, melted. Plastic on the terminal block melted. This is DANGEROUS and deserves immediate attention," Nancy said. "We paid $1,533.35 for this poor workmanship and poor service." Remi of Piscataway, N.J., wasn't as lucky as Nancy. "I opened the broiler to place a tray inside and flames shot out of it and singed face and hair. The fire department, EMT and PSEG responded to the incident. The oven was tagged 'defective' and the gas line was shut off," Remi said. "I have been in constant communication with Samsung regarding the oven. I inquired about being compensated for food due to the 'loss of use' and was told that they do not provide compensation." "Last week, I was advised that they would swap out the oven. I advised them that before I would commit to this resolution, I was like to know the cause of the fire. I was informed that this information could not be released to me," Remi said. "As a consumer who purchased this item, was injured by it and could have received extensive damage to my house, I believe that I should be informed of the cause and/defect of the unit." Dinner was interrupted at Sheila's home in Albany, Ga. "Yesterday in the middle of preparing dinner, the range shot fire with a loud explosion. Samsung does not stand behind their products and you would think that a new stove that we paid $900.00 for would last longer than 2 1/2 years," she said. We haven't seen many reports of Samsung refrigerators actually igniting, but many consumers have complained of conditions that they thought were fire hazards. "After 4 years of owning a French door Samsung refrigerator (RF267AARS/XAA), the coils started freezing up. I called out a Samsung repair service and they discovered that the evaporator coils had melted my liner and it is not repairable. It was so badly burnt inside that I am surprised it did not catch fire," said Jerri of Dripping Springs, Texas. "When I contacted Samsung customer service about this hazard, I was put on hold for 30 minutes and then told that they could only refund me a partial credit for the refrigerator. When I asked if there have been similar problems with other refrigerators, they could not tell me," Jerri said. Donald of North Kingstown, R.I., found singed components in his freezer compartment. "After removing the cover in the freezer that covers the coils I found a lot of burnt areas and cracks in the freezer compartment. Also the defrost sensor was also burnt," he said. 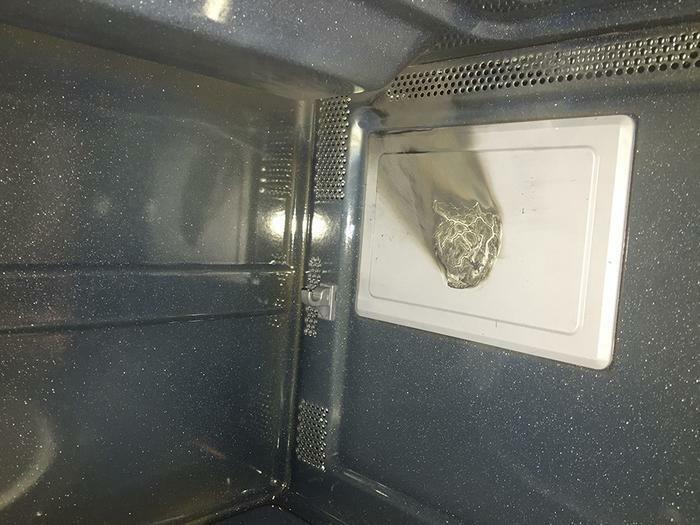 "I replaced the sensor and also took pictures of the freezer compartment showing the burnt areas and areas where the compartment was bubbling up from heat. This frig is a fire hazard." "Caused damage throughout house," said a consumer in Australia who asked to remain anonymous. "Had temporary accommodation for a year. Everything lost. Fire brigade recognised incident as a fridge fire. Fortunately happened when house was empty overnight. Samsung deny all liability and claim a waste bin must have caught fire in front of the fridge!" Aurelia of Wentzville, Mo., didn't have a fire in her Samsung dishwasher but was afraid that she was about to. She said numerous repair visits failed to resolve a water leak. After the last repair, "we ran a load [and] after 40+ minutes we got the LC* warning light." "This indicated water to electric leak, it's recommended to shut off circuit to the unit to prevent further damage or fire.," Aurelia said. After all the attempts to repair her dishwasher, she said she expects to be told she is out of warranty and on her own. Samsung has denied the incidents are linked and has said its warranty and repair services are adequate to handle the problems. Whether that is sufficient to reassure consumers is the question the company must now face.